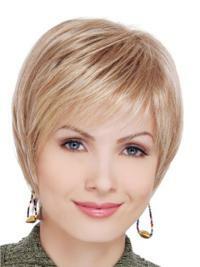 I recommend it all the wayThis wig definitely stood out. The length is slightly longer than the picture depicts. The texture is BETTER than the picture...everything about this wig is undercut in the picture above! The colour is gorgeous...I'm probably going to end up getting it. My skin is slightly fair, this was the FIRST brunette wig I've ever tried on that looked realistic. the stylist was also shocked by how real this wig looked. The cut is so convincing---this is the way it's "supposed" to be. I recommend it all the way! 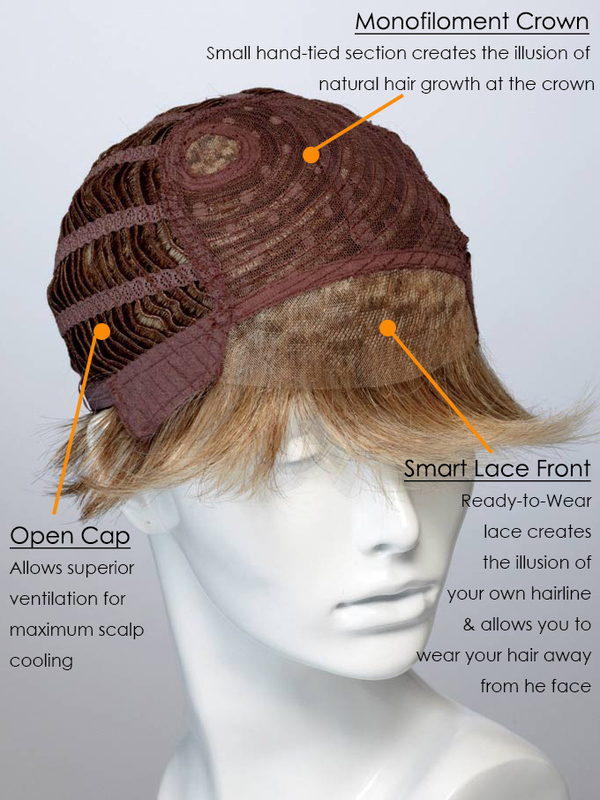 incredibleBecause of the lace top and the style of the cap, you can play with the part and style it in different ways. It actually looks great out of the box. I have noticed a little shedding -- mainly if I'm brushing it into a different style or detangling. Still, the wig looks incredible on and I recommend it to anyone who wants a natural looking, longer length wig. it look very realisticWhen I first learned that chemo would take my hair, I was devastated. I decided I wanted a wig that looked similar to the style I had, and after lots of searching. I can't tell you how happy this wig has made me! 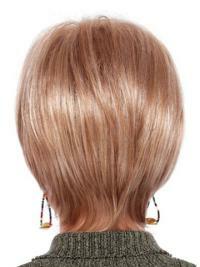 The colour is fabulous and natural looking, with lots of highlights. The lace front makes it look very realistic. I've had many people compliment me on my "hair," not knowing I was wearing a wig. Comfortable and wearableThis is a great wig. Comfortable and wearable for all seasons. After several months I still get compliments on the colour and cut. People can't believe it is not my own hair.! I have washed it twice with a drop of dish detergent in a gallon of cool water, rinse and air dry. Just great! just gorgeousThe hair fiber is soft and silky and beautiful right out of the box. The wig is comfortable and wearable immediately. Just a little brushing and then I stuck it on my head. A little bit of body and the perfect amount of layering. Just gorgeous! I am very pleasedI recently purchased this and it is my 1st lace front wig. I love the lace front. People can't tell you're wearing a wig at all. The style is very nice with the exception of a little too much hair at the crown. It looks wonderful as you can pull it all back from your face and looks so real. The colour I purchased is 631 and is truly beautiful. The style is awesome and it does straighten if you want to do that. I am very pleased with it.